Hospital Corpsman Third Class (FMF) Michael Vann Johnson, Jr., 25, of Little Rock, AR, was killed in action March 25, 2003, in Iraq. HM3 Michael Vann Johnson was assigned to Naval Medical Center San Diego, First Marine Division Detachment. Hospital Corpsman Third Class Fernando A. Mendez-Aceves, 27, of Ponce, P.R., was killed April 6, 2004, while conducting combat operations in Al Anbar Province in Iraq. HM3 Fernando Menendez-Aceves was assigned to Naval Medical Center San Diego, First Marine Division Detachment. Hospital Corpsman Third Class Julian Woods, 22, of Jacksonville, FL, died November 10, 2004, as a result of hostile fire in Fallujah, Iraq. HM3 Julian Woods was assigned to 3rd Marine Division Detachment, Marine Corps Base Hawaii, Kaneohe Bay, Hawaii. Hospital Corpsman 3rd Class John D. House, 28, of Ventura, Calif., died Jan. 26, 2005, in the helicopter crash near Ar Rutbah, Iraq. HM3 John D. House was permanently assigned to Naval Medical Clinic Hawaii, Marine Corps Units Detachment, Pearl Harbor. Hospitalman Aaron A. Kent, 28, of Portland, OR, died April 23, 2005, from an improvised explosive device while conducting combat operations near Fallujah, Iraq. HA Aaron A. Kent was assigned to 2nd Marine Division, II Marine Expeditionary Force (Forward), Camp Lejeune, NC. Hospital Corpsman Third Class Jeffery L. Wiener, 32, of Louisville, Ky., died May 7, 2005, in a combat related incident. HM3 Jeffery Weiner was assigned to II Marine Expeditionary Force (MEF). Hospital Corpsman 2nd Class Cesar O. Baez, 37, of Pomona, Calif., died June 15, 2005, as a result of enemy small arms fire while conducting combat operations in al-Anbar province, Iraq. HM2 Cesar O. Baez was assigned to 2nd Marine Division, II Marine Expeditionary Force (Forward). Hospital Corpsman 3rd Class Travis L. Youngblood, 26, of Surrency, Ga., died July 21, 2005, of wounds received July 15 from an improvised explosive device during combat operations in Hit, Iraq. HM3 Travis L. Youngblood was assigned to Naval Hospital Great Lakes, Great Lakes, Ill., and deployed with the II Marine Expeditionary Force (Forward). Hospitalman Robert N. Martens, 20, of Queen Creek,Ariz., died Sept. 6, 2005, from injuries sustained as a passenger when his HMMWV rolled over in Al Qaim, Iraq. 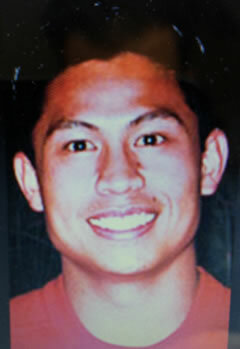 During Operation Iraqi Freedom, Martens was assigned to II Marine Division, Camp Lejeune, N.C.
Hospital Corpsman 2nd Class Allan M. Cundanga Espiritu, 28, of Oxnard, CA, died Nov. 1, 2005, from an improvised explosive device while conducting combat operations in the vicinity of Ar Ramadi, Iraq. HM2 Allen Espiritu was assigned to 2nd Force Service Support Group (Forward), II Marine Expeditionary Force (Forward). Hospital Corpsman 3rd Class John T. Fralish, 30, of New Kingstown, Pa., died Feb. 6, 2006, when enemy forces opened fire on a U.S. patrol northwest of Methar Lam in Laghman Province, Afghanistan. HM3 John Fralish was assigned to the 3rd Marine Division Detachment, Marine Corps Base Hawaii, Kaneohe, Hawaii. Hospitalman Geovani Padilla Aleman, 20, of South Gate, Calif., died Apr. 2, 2006, as a result of enemy action in Al Anbar Province, Iraq. HN Geovani Aleman was permanently assigned to Bethesda Naval Hospital, USNS Comfort Detachment and operationally assigned to Third Battalion, Eighth Marine Regiment, 2/28 Brigade Combat Team. Hospital Corpsman 3rd Class Marcques J. Nettles, 22, of Beaverton, Ore., died April 2, 2006, when the truck he was riding in rolled over in a flash flood near Al Asad, Iraq. Doc Nettles was initially listed as Duty Status - Whereabouts Unknown. His body was recovered April 16. He was assigned to 1st Combat Logistics Battalion, 1st Marine Logistics Group, I Marine Expeditionary Force, Camp Pendleton, Calif.
Hospital Corpsman Third Class Lee Hamilton Deal, 23, of West Monroe, La., died May 17, 2006, as a result of enemy action in Al Anbar province, Iraq. He was operationally assigned to Regimental Combat Team-5, I Marine Expeditionary Force (Forward), and permanently assigned to 2nd Marine Division Fleet Marine Force Atlantic, Camp Lejeune, N.C.
Hospital Corpsman Second Class Jaime S. Jaenke, 29, of Bay City, WI, died June 5, 2006, as a result of enemy action in Al Anbar province, Iraq. Doc Jaenke was assigned to Navy Mobile Construction Battalion 25 out of Ft. McCoy, WI, but she had moved back to Iowa Falls, IA, in July, 2005. She is survived by a daughter who will not have access to her mother's insurance until her 18th birthday because current law makes no provision for the minor children of single mothers. For at least eight years, this child will need to rely on her retired grandparents - one of whom is disabled. Legislation to address this issue has been held in Committee in both Chambers of Congress for four years. 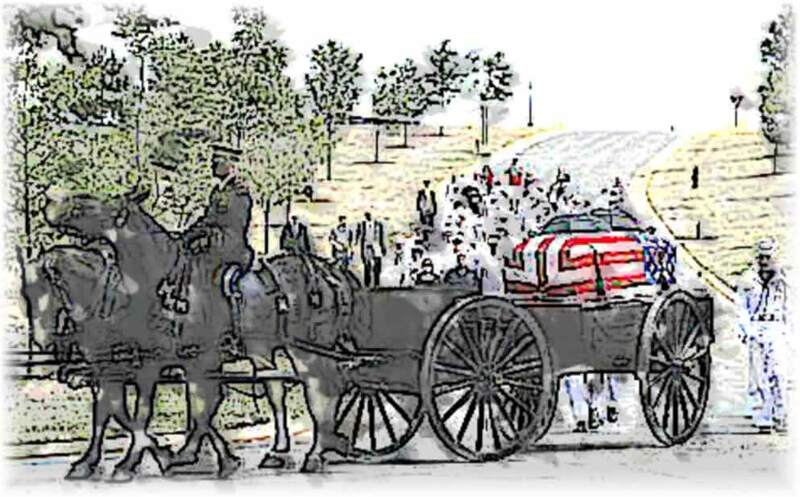 Hospitalman Zachary M. Alday, 22, of Donalsonville, Ga., died June 9, 2006, from injuries sustained earlier in the day when the vehicle in which he was riding struck a land mine. His unit was conducting combat operations against enemy forces in the Al Anbar Province of Iraq. Doc Alday was assigned to the 1st Battalion, 7th Marines, 7th Regimental Combat Team, 1st Marine Expeditionary Force (Forward), Camp Pendleton, Calif.
Hospitalman Chadwick T. Kenyon, 20, of Tucson, Ariz., died Aug. 20, 2006, of injuries suffered when his vehicle was struck by an improvised explosive device while conducting combat operations against enemy forces in the Al Anbar province, Iraq. HN Chadwick Kenyon was assigned to the 3rd Light Armored Reconnaissance Battalion, 1st Marine Division, I Marine Expeditionary Force, Twentynine Palms, Calif.
Hospital Corpsman 2nd Class Christopher G. Walsh, 30, of St. Louis, Mo. died Sept. 4, 2006, while his unit was conducting combat operations against enemy forces in Al Anbar province, Iraq. HM2 Christopher Walsh was serving as a corpsman with Multi National Corps Iraq. He was assigned to the Navy Reserve 3rd Battalion, 24th Regiment, 4th Marine Division, Bridgetown, Mo. Hospitalman Charles O. Sare, 23 of Hemet, CA, died Oct. 23, 2006, from enemy action while conducting combat operations in Al Anbar Province, Iraq. HN Charles Sare was assigned to Naval Ambulatory Care Center, Port Hueneme, CA, and was currently serving with Multi-National Corps - Iraq. HM3 Christopher A. Anderson, 24, of Longmont, Colo., died Dec. 4, 2006, as a result of enemy action in Al Anbar Province, Iraq. HM3 Christopher Anderson was assigned to 1st Battalion, 6th Marines, 2nd Marine Division, Fleet Marine Force, Atlantic, based in Camp Lejeune, N.C.
Hospitalman Kyle A. Nolen, 21, of Ennis, TX, died Dec. 21, 2006, in Al Anbar Province. Hospitalman Matthew G. Conte, 22, of Mogadore, Ohio, died Feb. 1, 2007, while his unit was conducting combat operations in the Al Anbar Province, Iraq. HN Matthew Conte was assigned to 2nd Battalion, 3rd Marine Regiment, 3rd Marine Division, III Marine Expeditionary Force, Kaneohe Bay, Hawaii serving under the command of I Marine Expeditionary Force (forward). Hospital Corpsman First Class Gilbert Minjares, Jr., 31, of El Paso, TX, died February 7, 2007, in the helicopter crash in Al Anbar Province, Iraq. HM1 Gilbert Minjares was assigned to Marine Advisory Group 14, 2nd Marine Aircraft Wing, Cherry Point, NC. Hospital Corpsman Third Class Manuel A. Ruiz, 21, of Federalsburg, MD, died February 7, 2007, in the helicopter crash in Al Anbar Province, Iraq. Hospitalman Lucas W.A. Emch, 21, of Kent, Ohio, died March 2, 2007, when an IED detonated nearby while conducting combat operations in Al Anbar Province, Iraq. HN Emch was assigned to 1st Marine Logistics Group, 1st Marine Expeditionary Force, Camp Pendleton, CA. Hospitalman Daniel S. Noble, 21, of Whittier, California, died July 24, 2007, as a result of enemy action while conducting security operations in Dilaya Province, Iraq. HN Noble was permanently assigned to 1st Marine Division, FMF Pacific, Camp Pendleton, CA. Hospital Corpsman Second Class Charles Luke Milam, 26, of Littleton, Colorado, died September 25, 2007, while conducting combat operations in Helmand Province, Afghanistan. HM2 Milam was assigned to 2nd Marine Special Operations Battalion, Camp Lejeune, NC. Hospital Corpsman Third Class Mark R. Cannon, 31, of Lubbock, Texas, died October 2, 2007, while conducting combat operations in Kunar Province, Afghanistan. HM3 Cannon was assigned to 3rd Marine Regiment, 3rd Marine Division, III Marine Expeditionary Force, Marine Corps Base Hawaii. Hospitalman Marc A Retmier, 19, of Hemet California, died June 18, 2008, of wounds sustained in a rocket attack in northern Paktika Province, Afghanistan. HN Retmier was assigned to Provincial Reconstruction Team, Sharana, in Afghanistan. Hospitalman Dustin Kelby Burnett, 19, of Fort Mohave, Arizona, died June 20, 2008, while conducting combat operations in Farah Province, Afghanistan. Hospital Corpsman Second Class Anthony M. Carbullido, 25, of Agat, Guam, died August 8, 2008, in Sangalesh, Afghanistan, from injuries suffered when the vehicle in which he was riding hit an improvised explosive device. Hospital Corpsman Third Class Eichmann A. Strickland, 23, of Arlington, Washington, died September 9, 2008, from injuries when his vehicle hit an IED in Afghanya Valley, Afghanistan. HM3 Strickland was assigned to Combat Service Support Det. 36, Iwakuni, Japan. He was a member of an embedded Marine Training Team deployed to Afghan Regional Security Integration Command. Hospital Corpsman Third Class Anthony C. Garcia, 21, of Tyndall, Florida, died August 5, 2009, during combat operations in Farah Province, Afghanistan. HM3 Garcia was assigned with 2nd Battalion, 3rd Marines, 3rd Marine Division, out of Kaneohe, Hawaii. Hospital Corpsman Third Class Benjamin P. Castiglione, 21, of Howell, Michigan, died September 3, 2009, while supporting combat operations in Helmand Province, Afghanistan. HM3 Castiglione was assigned to 2nd Light Armored Reconnaissance Battalion, 2nd Marine Expeditionary Battalion. Hospital Corpsman Third Class James R. Layton, 22, of Riverbank, California, died September 8, 2009 while supporting combat operations in Kunar Province, Afghanistan. HM3 Layton was assigned to Embedded Training Team 2-8 with Combined Security Transition Command in Afghanistan. He, 1stLT Michael Johnson, and GYSGTs Edwin "Wayne" Johnson and Aaron Kendrick each received the Bronze Star with"V". Hospital Corpsman Second Class Xin Qi, 25, of Cordova, Tennessee, died January 23, 2010, while supporting combat operations in Afghanistan. HM2 Qi was assigned to 4th Light Armored Reconnaissance Battalion, Marine Expeditionary Brigade, Afghanistan. Hospital Corpsman Third Class Zarian Wood, 29, of Houston, Texas, died May 16, 2010, of wounds from an IED blast while on dismounted patrol in Helmand Province, Afghanistan. HM3 Wood was assigned to India Company, 3rd Battalion, 1st Marines, 1st Marine Division, I Marine Expeditionary Force. Hospitalman William Ortega, 23, of Miami, FL, died June 18, 2010, of wounds from an IED blast while conducting combat operations in Helmand Province, Afghanistan. HN Ortega was assigned to 3rd Battalion, 1st Marine Regiment, 1 Marine Division, I Marine Expeditionary Force. Hospital Corpsman Third Class James M. Swink, 20, of Yucca Valley, California, died August 27, 2010, while supporting combat operations in Helmand Province, Afghanistan. HM3 Swank was assigned to 2nd Marine Division, II Marine Expeditionary Forces. Hospitalman Edwin Gonzalez, 22, of North Miami Beach, FL, died October 8, 2010, from wounds from an IED while supporting combat operations in Helmand Province, Afghanistan. HN Gonzalez was assigned to 1st Battalion, 8th Marine Regiment, 2nd Marine Division, FMF Atlantic. Hospitalman Benjamin D. Rast, 23, of Niles, MI, died April 6, 2011, while on a dismounted patrol near Patrol Base Alcatraz in Helmand Province, Afghanistan. HN Rast was stationed at Naval Medical Center, San Diego, but assigned to 1st Battalion, 23rd Marine Regiment, 4th Marine Division, in Afghanistan. Evidence seems to point to this being a "friendly fire" incident. Hospitalman Aaron D. Ullom, 20, of Midland, MI, died while conducting a dismounted patrol in the Now Zad district, Helmand province, Afghanistan, on July 12, 2011. HN Ullom was assigned to 3rd Battalion, 2nd Marine Regiment, Regimental Combat Team 8, 2nd Marine Division, II Marine Expeditionary Force at Camp Lejeune, N.C.
Hospitalman Riley Gallinger-Long, 19, of Cornelius, OR, died August 11, 2011, while conducting a dismounted patrol in the Marjah District in Helmand Province, Afghanistan. HN Gallinger-Long was assigned to 1st Battalion, 6th Marines, Regimental Combat Team 1, 2nd Marine Division, II Marine Expeditionary Force at Camp Lejeune. Hospital Corpsman Third Class (FMF) Brian K. Lundy, 25, of Austin, TX, died while conducting a dismounted patrol in Marjah, Helmand Province, Afghanistan, September 9, 2011. HM3 Lundy was assigned to 1st Battalion, 6th Marines, Regimental Combat Team 5, 2nd Marine Division, II Marine Expeditionary Force, Camp Lejeune, NC. Hospital Corpsman 3rd Class Kyler L. Estrada, 21, of Queen Creek, Ariz., died Feb. 14,2012 as a result of a non-combat related training incident in Djibouti. Estrada, a Navy hospital corpsman, was assigned to the 11th Marine Expeditionary Unit based at Camp Pendleton, Calif.
Hospitalman Eric D. Warren, 23, of Shawnee, OK, died May 26, 2012, of wounds received in an IED blast in Sangin District, Helmand Province, Afghanistan. HN Warren was assigned to 1st Battalion, 8th Marines, Regimental Combat Team 6, 1st MARDIV (Forward), I Marine Expeditionary Force (Forward), Camp Lejeune, NC. Hospital Corpsman Third Class Clayton R. Beauchamp, of Weatherford, Texas, died August 7, 2012, when his unit was attacked with an IED while conducting a dismounted patrol in the Shaban District, Helmand Province, Afghanistan. HM3 Beauchamp was assigned to 1st Battalion, 1st Marine Regiment, Regimental Combat Team 6, 1st Marine Division (Forward), I Marine Expeditionary Force (Forward), Camp Pendleton, CA. Hospital Corpsman First Class Darrel L. Enos, 36, of Colorado Springs, CO, died August 17, 2012, while supporting combat operations in Farah Province, Afghanistan. He was murdered by an Afghan police recruit his unit was training. HM1 Enos was assigned to 3rd Marine Special Operations Battalion, Camp Lejeune, NC. He was one of the founders of "Operation Deployed Santa" which continues today. Chief Petty Officer Matthew J. Bourgeois, 35, of Virginia Beach died at 8:30 a.m. March 27th, 2002 in Afghanistan as he trained with U.S. Special Operations troops at Tarnac farm, an al Qaeda training base abandoned in November of 2001, officials said. Bourgeois the 31st U.S. serviceman to die in and around Afghanistan and he was the first killed by a land mine. Bourgeois grew up in Tallahassee and graduated from Leon High School there. He served in the Florida National Guard from 1984 to 1987 before enlisting in the Navy. He initially trained as a Hospital Corpsman and began training with Navy SEAL Team 2 in the Norfolk area in December 1989. His five years with the unit included deployment to the Persian Gulf War. After four months of training at Fort Bragg, N.C., Bourgeois joined Navy SEAL Team 1, also based in the Norfolk area, in May 1995. He joined his current unit, which the Navy declined to identify, in 1999. Matthew Bourgeois and his wife, Michelle, had a son seven months prior to his death. SEAL is short for Sea, Air, Land teams, which were first created as a Navy counterinsurgency force in 1962. Navy Hospital Corpsman 3rd Class David J. Moreno 26, of Gering, Neb. ; assigned to the Naval Medical Center San Diego, 4th Marine Division Detachment; Died July 17, 2003 Serving During Operation Iraqi Freedom killed by a friendly fire incident July 17 in Hamishiyah, Iraq. Navy Hospital Corpsman 3rd Class David A. Cedergren, 25, of South St. Paul, Minn., died Sept. 11, 2004, while showering. Originally his family was told he died of natural causes. The Armed Forces Institute of Pathology changed the manner of Cedergren’s death to “accidental,” caused by electrocution and inflammation of the heart. Cedergren’s death is among 18 electrocution deaths - 16 U.S. service members and two military contractors - under review as part of a Department of Defense Inspector General inquiry. Navy Hospital Corpsman Joshua Dwayne McIntosh 22, of Kingman, Arizona, died June 6th, 2003 while serving in Karbula, Iraq. McIntosh died in Karbala, Iraq, from a non-hostile gunshot wound. He was assigned to the Third Battalion, Seventh Marine Regiment, Twentynine Palms, California. Hospital Corpsman Pablito Peña Briones, Jr., died on December 28, 2004, while serv­ing his country in support of Operation Iraqi Freedom. A native of Anaheim, Califor­nia, the 22-year-old died as the result of a non-combat-related incident in Fallujah, Iraq. His home unit was the 1st Marine Division Detachment, Naval Medical Center San Diego out of San Diego, California. Petty Officer First Class (SEAL) Jeffrey Taylor died June 28, 2005. He was one of 16 troops killed when a MH-47 Chinook Helicopter was shot down in Afghanistan. The force was on a daring night mission to reinforce a four-man SEAL reconnaissance squad that had been ambushed in 10,000 foot mountainous terrain. A total of 11 SEALs died that day in the Global War on Terror. He was assigned to an East Coast based SEAL team. Copyright (c) 2017 The Corpsmen Memorial Foundation, Inc.